Many of us may think that the unhealthiest places for us to live are over-seas; in countries such as the US and Canada, where there are giant fast food chains, double-sized portions and colossal casinos. However, there are major cities local to the West Midlands area, which have been named as the least healthy places to reside in Britain alone. The lesser sub-streets and dingy alleyways of these towns have been found to host a very large number of local chippy’s, greasy Chinese take-outs and off licenses that sell strong booze and tobacco. 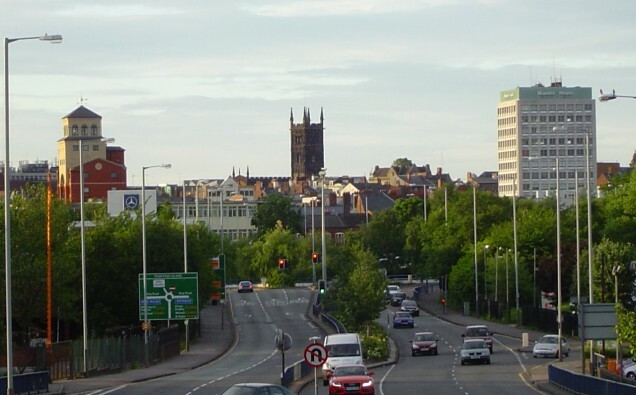 In recent findings, the cities of Wolverhampton and Stoke-on-Trent have been found as the top 10 worst cities to inhabit in regards to their effect on people’s health. Aside from these, Walsall has been named one of the unhealthiest towns. According to a study by the Royal Society of Public Health (RSPH), inhabitants of towns such as this are far more likely to die two and a half years younger than the rest of the population. In fact, cities with a multitude of pharmacies and libraries are able to maintain the average living rate of their inhabitants to a much better rate. The study also gave vantage points to cities based n the number of opticians, dental infirmaries, leisure centres and museums they had. This is because they either worked towards taking better care of inhabitants’ health, or at least providing healthy-living and engaging activities outside of the home. Some of the healthiest towns named included; York, Exeter, Cambridge, Cheltenham and Edinburgh. These places are known to be home to more of England’s well-off population. Findings discovered that around 4,000 fast food chain restaurants and takeaways newly opened in the last half a decade in Britain’s poorer areas.